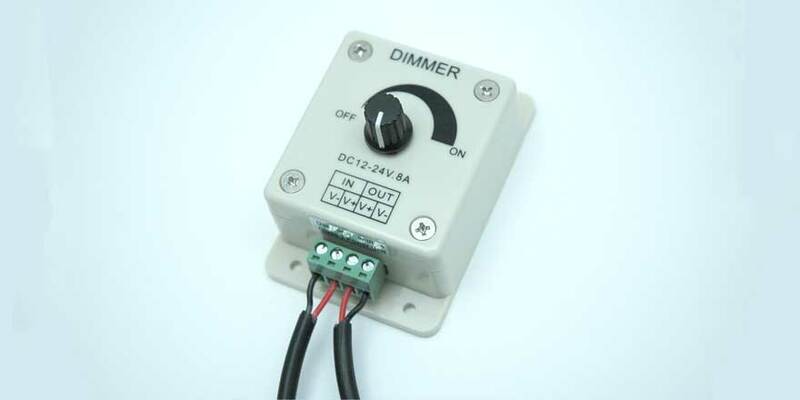 This single color, Low voltage LED dimmer can dim 12 or 24VDC LED Flex strips or LED bars from 0%-100% using Pulse Width Modulation (PWM). 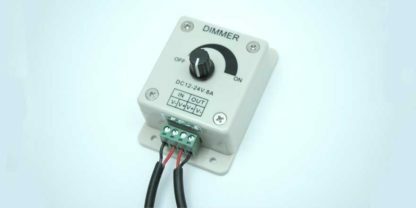 Note: For use with LED World’s UL listed 12VDC or 24VDC LED Strip Lights and class 2 Regulated Class power supply. Connect to low voltage Class 2 power supply to input. Do not exceed 24VDC and a maximum of 5 amps continuous load.Use only with class 2 power unit or fuse power source (5A).